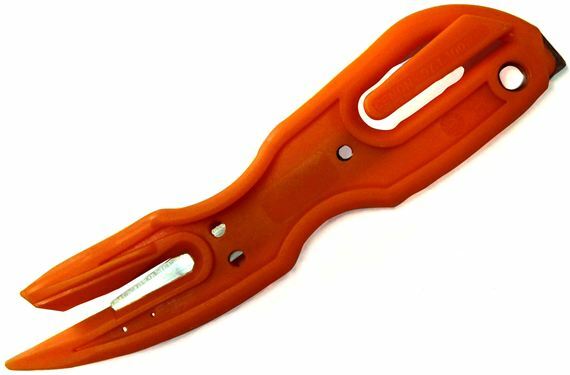 Disposable safety knife to cut shrink-wrapped packages and plastic straps. The metal pin is used for tearing packing adhesives. with fiber glass, very rigid.